From small dogs to large, you'll only find the best dog products here. Top quality pet fashion products is a simple description of the thousands of different dog and cat products sold here at the Posh Puppy Boutique. · Quality: Many of our clothing items are handmade. Mass-produced garments made by people working in overseas sweatshops do not have the same look, feel or most importantly, durability, that something handmade by an artisan does. · Made in the USA: Many—admittedly not all—of our products are proudly Made in the USA. Ask yourself this question: would you rather see a neighbor unemployed because their job was shipped overseas or pay a slightly higher price to keep them employed? · Style: Our pet fashion products are made by the top fashion designers in the world. Where else can you find Diamonds in the Ruff Ruff high fashion collars sharing space with tutus from Central Bark Couture, sweaters from Oscar Newman, carriers from Puppy Angel, luxury beds by Yvette Ruta and shirts and tops for your favorite puppy girl from Roxy & Lulu with Susan Lanci’s many products? And by the way, we carry about 10,000 more products from 20 additional designers. A big problem for many dog owners is finding clothing that will fit. We solve that problem by not only offering fixed sizes, but explaining how to measure your dog for the best fit. By the way, many of our designers will also custom fit their products to your dog. Let’s say you have a super small Chihuahua that you want to dress up with a special collar, but everything in the stores is far too big, too cheap or simply too tacky. No problem. The Chihuahua Paris Luxury Designer Dog Collar ($193) comes in lengths for necks as tiny as 14-19.5 cm (5.5-7.7 inches) around. This collar is covered in crystals and flowers. It will not get lost in a hairy mane. These motorcycle come in sizes from tiny to triple extra-large. Your motorcycle companion might be 100 pounds of pure play that you want to have look the part … but you can’t find a jacket anywhere in town. 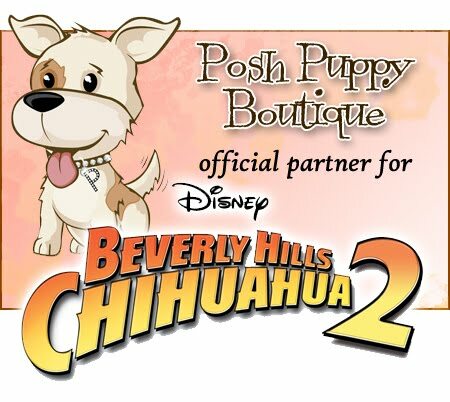 Try the Posh Puppy Boutique. We sell this black Born to Ride Motorcycle Dog Harness Jacket ($45), which is made from faux leather. It has heavy duty nail heads so it looks just like yours. Sizes range from double extra small to triple extra large … and we have many more fashionable dog products designed with big boys and girls in mind. If you haven’t visited our online store recently, or you know someone—anyone—with a pet, swing by the Posh Puppy Boutique. Do it soon, like today, and you can save some cash. Save 25 percent off your entire order by entering the coupon code “Labor” when you order before midnight Pacific Time Monday, Sept. 2. 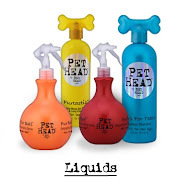 At the Posh Puppy Boutique our products aren’t cheaply made … but our prices are fantastic.